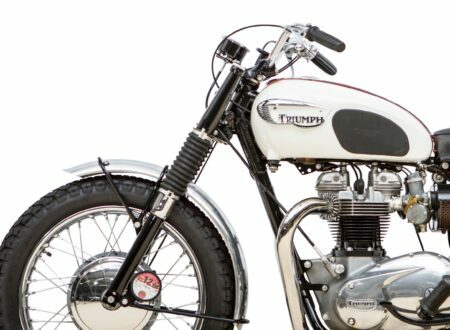 The Triumph Bonneville is an enduring motorcycle, the first one appeared in 1959 as a 650cc parallel twin with overhead valves. It was named for the legendary Bonneville Salt Flats in the United States and fittingly, it was the Americans who embraced the model – buying more of them than any other country on earth. 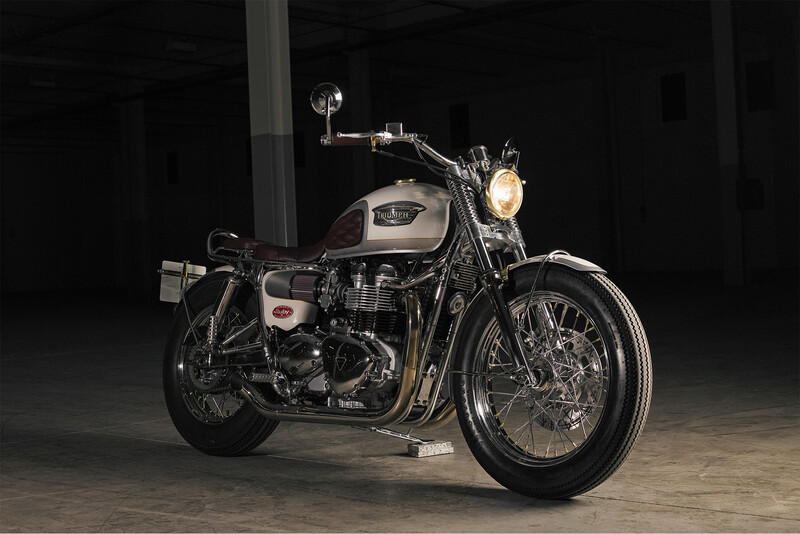 The Bonneville was built in four major generations – 1959 to 1983, 1985 to 1988, 2001 to 2016, and 2017 to the present day. 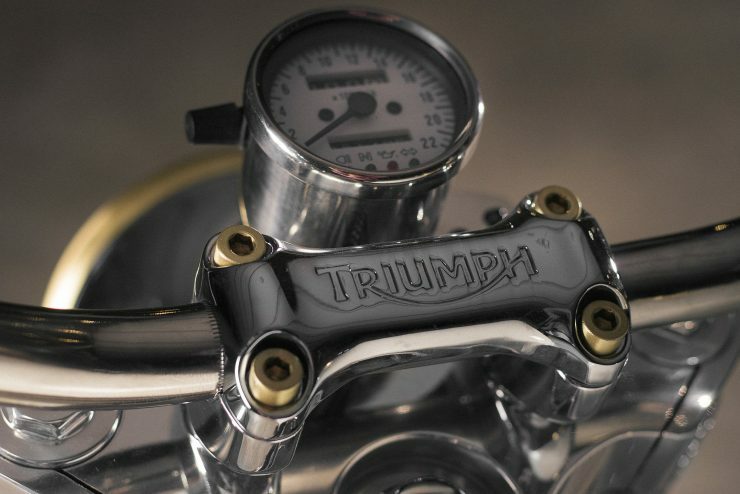 Each Bonneville has shared the same basic parallel twin piston layout, but everything else has been updated over the years; pre-unit construction gave way to unit construction, points ignition gave way to digital ignition, overhead valves gave way to overhead cams, carburettors gave way to electronic fuel injection, air-cooling gave way to air and oil cooling, then later to full liquid cooling. 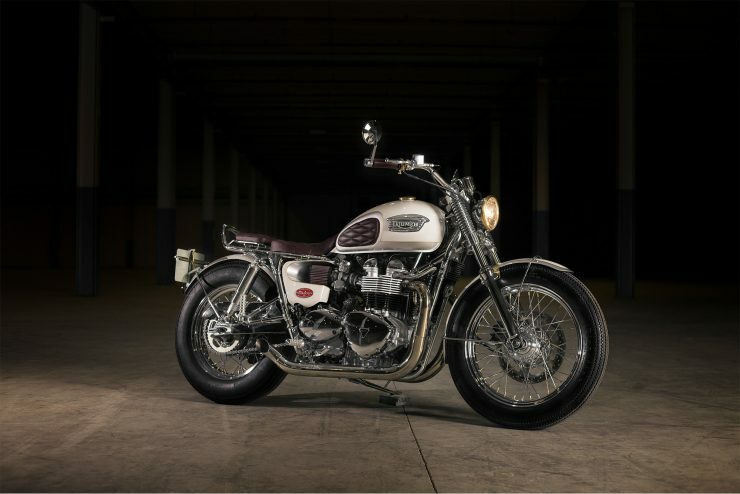 Of these four major generations, the Triumph Bonneville T100 with its 865cc parallel twin featuring double overhead cams has proven a best seller for the storied British company. 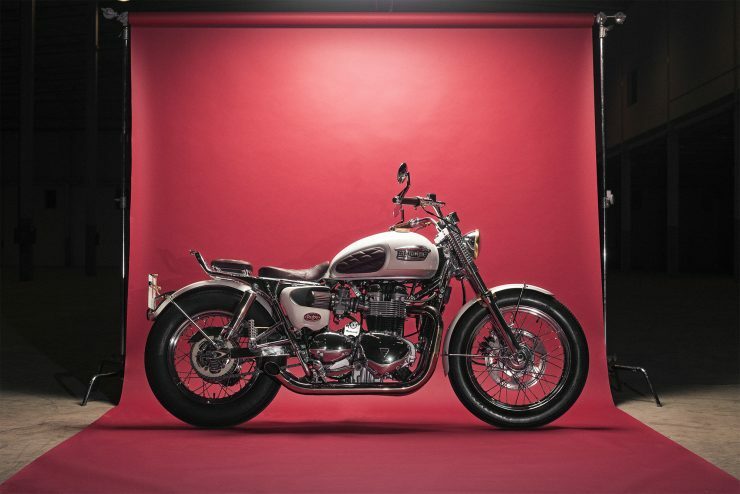 Even though the model left production in 2016 it’s lost none of its popularity, remaining a hugely popular bike on the secondhand market, and a frequent target for custom motorcycle builders like the talented team at Tamarit Motorcycles in Spain. 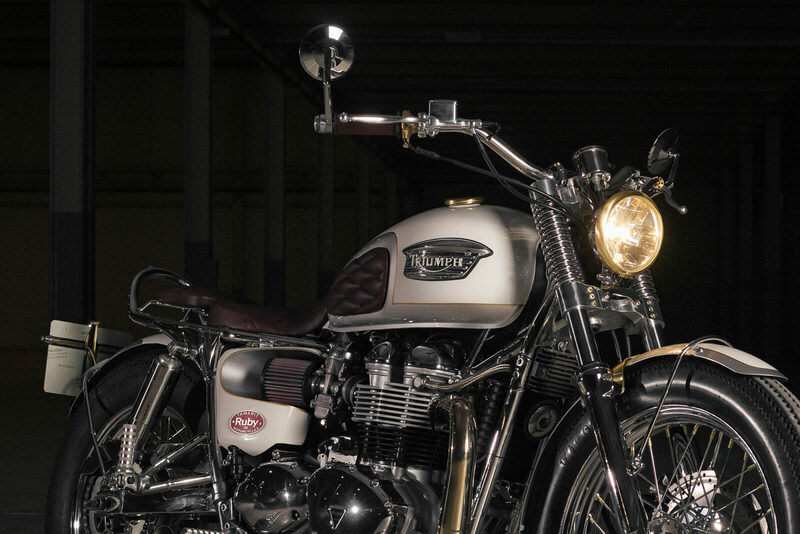 This custom Bonneville was built by Tamarit Motorcycles for a Catalonian client named Javier, who travels the world extensively for work to far flung locations like New York, Hong Kong and countless other places. 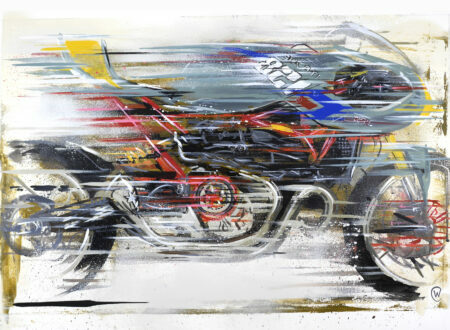 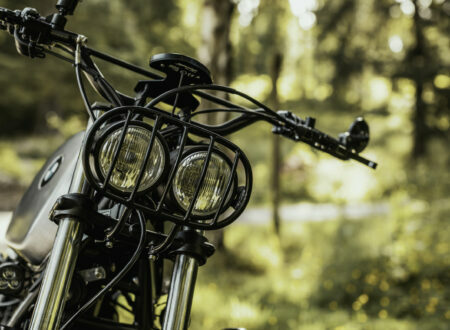 In the summer each year he goes back to the Catalonian coast where he grew up, he owns a number of motorcycles but he wanted a bike specifically for those sunny summer afternoons spent flitting from one beach to the next. 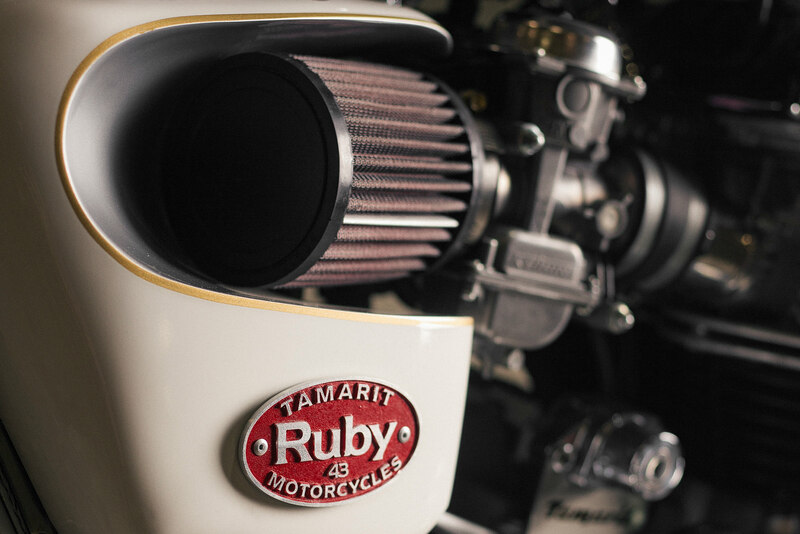 Javier met with the team at Tamarit and a plan was laid out over lunch, a deposit was paid and the build began immediately. 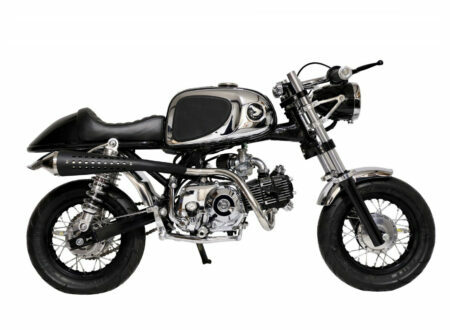 A stock 2008 Triumph Bonneville was disassembled, with the frame and swingarm being sent off for chrome plating. 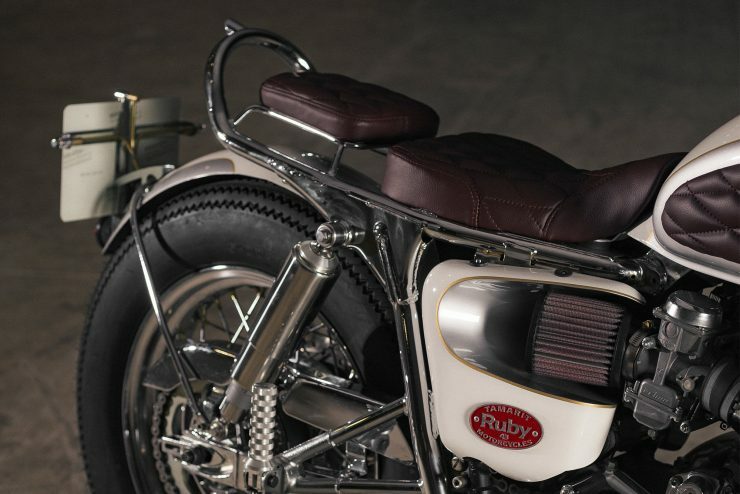 The original seat was removed and a new subframe section was added, accompanied by a new two-part seat paired with leather knee guards on the tank. 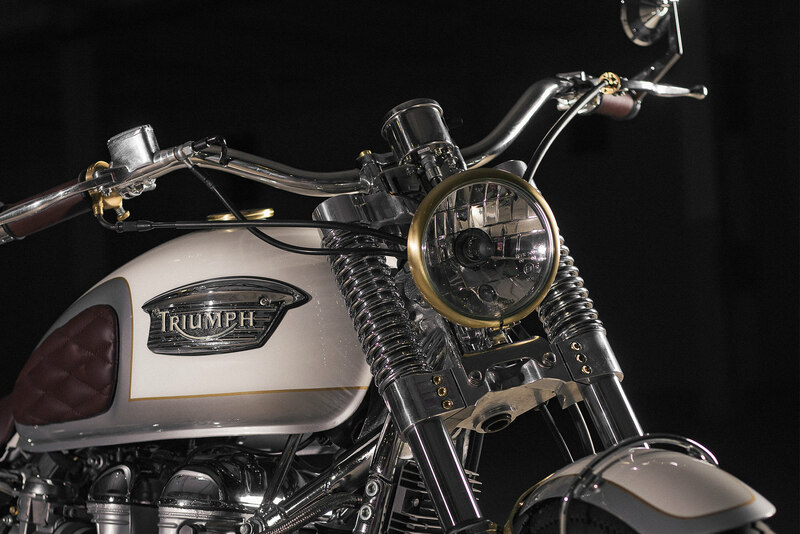 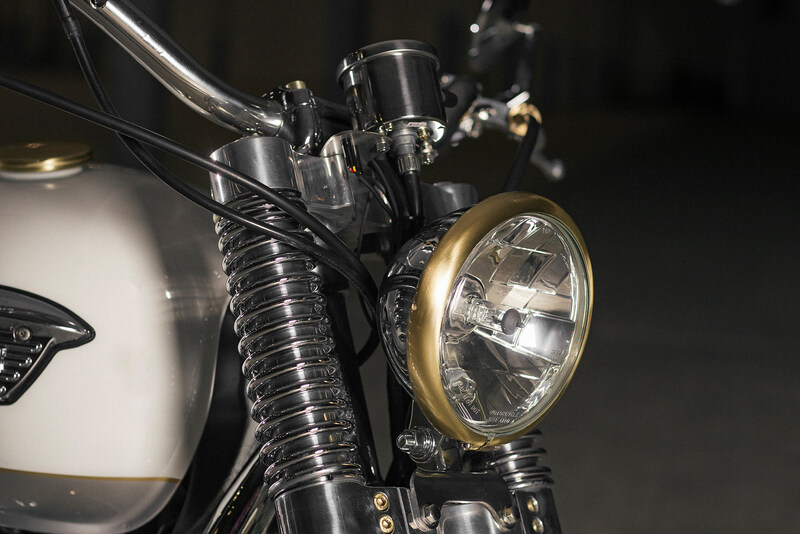 The engine and wheels were dressed up with chrome plating where possible, a new tire hugging rear fender was fitted with a bespoke license plate holder, and a new low-profile headlight was installed. The site covers on both sides now feature deeply scalloped sections to allow the fitment of larger air filters, doing away with the constrictive stock airbox. 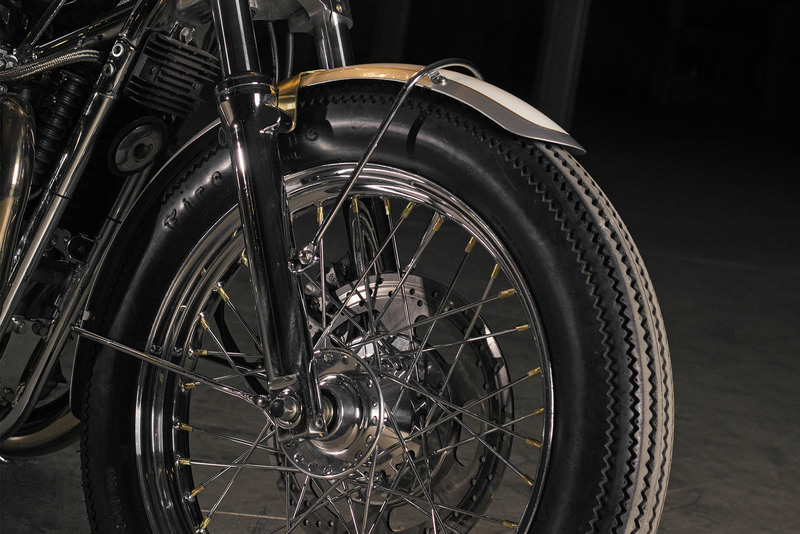 A pair of open low-exit exhausts were added to ensure a suitable recognisable exhaust note, and a set of Pantera springs were added to the forks for some unmistakably retro flair. 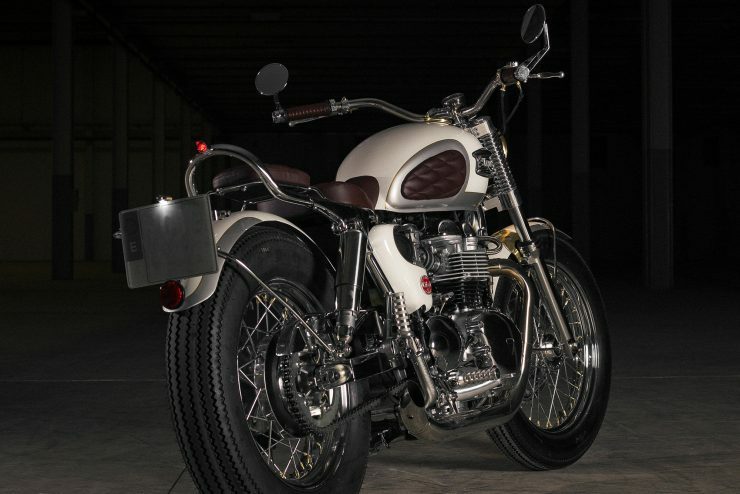 The completed build is a perfect summer beach cruiser with seating for two and well over 200 kilometres of range thanks to the use of the stock fuel tank – allowing Javier plenty of freedom to chase the horizon. 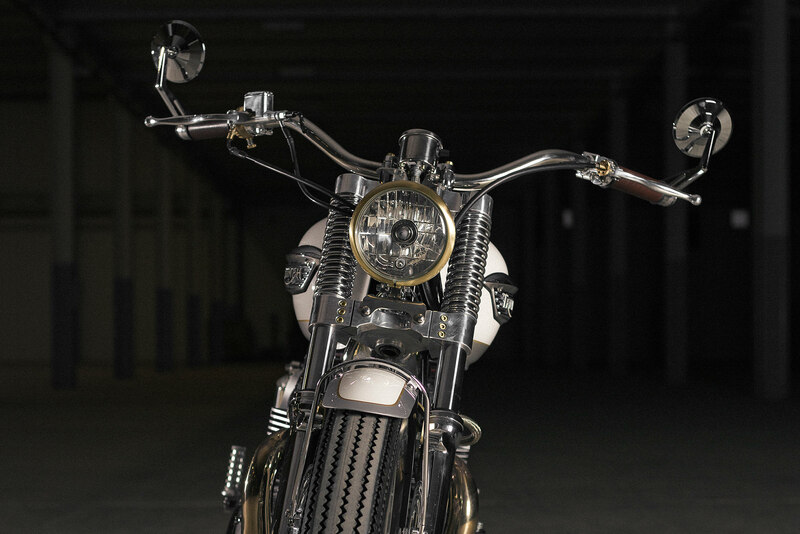 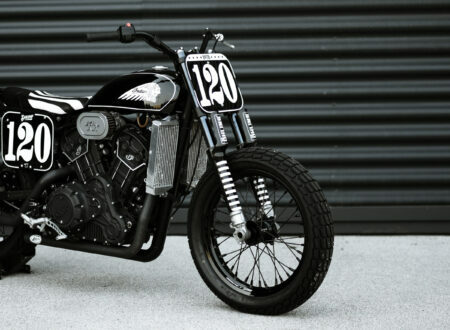 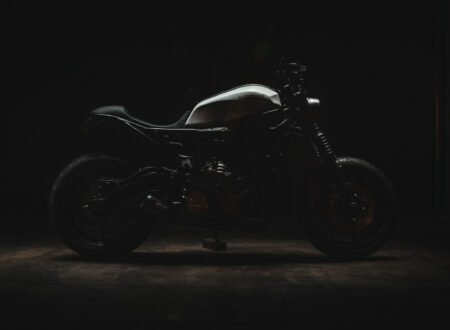 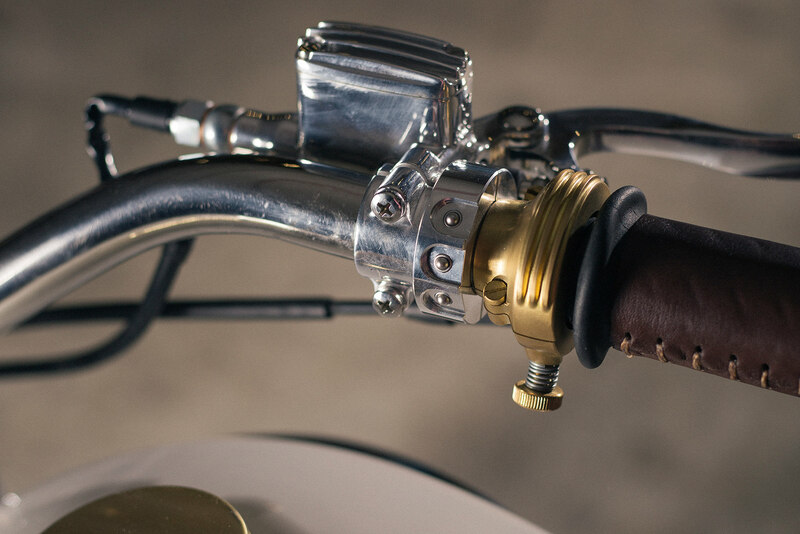 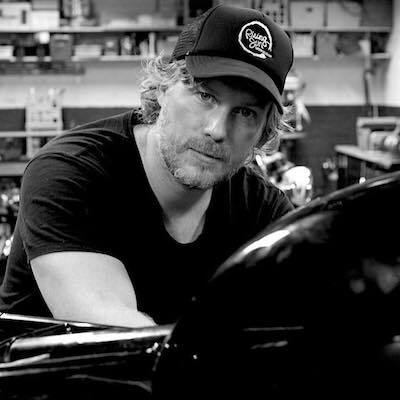 If you’d like your own custom motorcycle built by Tamarit Motorcycles you can visit their website here, they’re currently taking orders for this year and they have experience both building bikes for local owners and shipping bikes around the world.